I haven’t been in the Devonshire Cat for years. It’s a real ale pub on Wellington Street in the city centre’s Devonshire Quarter, operated by the local Abbeydale Brewery. It had quite a big refurb in 2014, so it has a fresh, modern look. The Dev Cat has just launched a new food menu with a gluten free offer, and I was delighted to be invited to go and sample it and give some feedback. As with many places making an effort with ‘free from’ food, the manager is coeliac, which is reassuring when it comes to their understanding of the diet and cross contamination. The new menu has three gluten free starters and four gluten free mains on the menu, so there are a few things to choose from. There are a few sides that may also be gluten free (salad, mash, new potatoes) but aren’t marked as such on the menu. Unfortunately, the chips aren’t gluten free, but thankfully the serving staff clearly understood they aren’t, which does make ordering easier. The first starter we tried was lightly spiced pork meatballs with spinach and smoked cheese sauce. This was really nice. It was a generous serving of meatballs with a slightly crisped outside and a soft inside. The sauce was lovely and smooth, with a slight hint of smokiness. We also had a savoury walnut and sesame seed cluster bar, with spicy popcorn and sweet chilli sauce. This vegan dish was really inventive, and something I’ve never come across before. Quite often, the vegan/vegetarian choices can be a bit of an afterthought, but clearly not on this menu. The nut and seed bar went really well with the chilli sauce and the spicy popcorn was inspired. We really enjoyed the texture and flavour combinations. My main course was pan fried lamb chops, which were served with hasselback potatoes, creamed leeks, a minced lamb & apricot stufed tomato and a red wine and mint sauce. This was a nicely thought out dish, with a variety of accompaniments; the stuffed tomato was a nice touch, and the meat was cooked really well. The GF offer includes an interesting sounding warm kale salad, with sun-dried tomato, sweet potato, black olive and toasted pine nuts (also vegan, and can be a starter or a main course). There’s also a pan fried pork chop that comes with gluten free black pudding as well as a gluten free pale ale sauce. Incidentally, the bar also has at least one gluten free keg and cask available, in addition to a number of bottles. It is featured on Sheffield’s new Gluten Free Pint website. So, if it wasn’t somewhere you’d thought of going, the Dev Cat is definitely worth a try for gluten free food and ale. I’m definitely going back to try that warm kale salad. 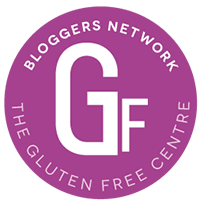 Tags: Devonshire Cat, Devonshire Cat gluten free, GFsheff, gluten free eating out, gluten free food, gluten free review, Gluten free Sheffield. Bookmark the permalink.